It goes without saying that the aging process can change someone’s life in dramatic and unexpected ways. If you have a long term or permanent difficulty with mobility, living life more independently might be a priority for you. Although mobility problems might make things a bit more difficult, there are ways in which you can reduce the impact it has on your life. You can better negotiate the challenges of living with mobility problems when you become your own advocate – educating yourself about your rights and what resources are available to you can empower you and make you feel more in control of your life. You may not be able to change your situation, but you can embrace new technologies and tools that are available for making your daily demands easier. With these, you’re likely to see an increase in your independence, as well as your confidence and self-esteem. The NHS have information on how to the best choose the right mobility equipment, wheelchairs and scooters for you. They advise on products that can support people with long term mobility problems. If you’re beginning to struggle with everyday tasks, there are mobility solutions out there. For example, an adjustable bed or a wheelchair might be able to reduce discomfort or pain, as well as helping you to regain your independence. It could even fall to simple everyday devices such as a trolley walker, a dressing aid or extra supportive footwear to make your life that little bit easier. • Use an app to monitor your spending habits. That way, you can see exactly where your outgoings are and where you can make savings. There’s plenty of resources online to help you manage your daily mobility difficulties. The most reliable source is perhaps the NHS guide to care and support. Their handy guides on using public transport, getting help with travel costs and what rights you have could prove to be invaluable. They also provide information about planning for future care needs, advice about paying for care and support for young carers. Although mobility problems can dramatically change the way you live your day-to-day life, there’s products available and advice on saving up for them. 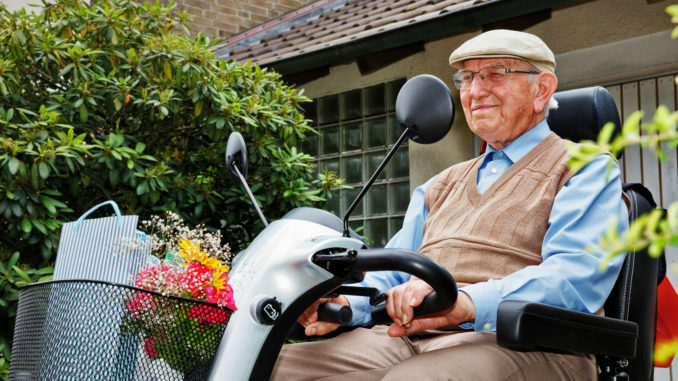 These products can transform your life – helping you reduce the impact of mobility issues and regain your confidence and independence.